“Was he planned” is one of the most ridiculous questions I’ve ever been asked and still after 7 years of being asked I’m still not entirely sure what kind of answer people are looking for – or why people feel entitled to ask in the first place but that’s a whole other topic for another day. It’s asked anywhere on a scale of casually curious to outright judgemental – where it’s not so much a question as it is a statement. But the question itself is completely absurd, because the only answer there could possibly be is “yes”. I planned to take a pregnancy test, I planned my first appointment with my GP, I planned a blood test, I planned scan, I planned a nursery, I planned to breastfeed, I planned to go to hospital, I WROTE A BIRTH PLAN – how much more planned could a baby be?! I had planned to be a mother since I was a little girl. I used to wish I could flash forward like in movies and skip to the part where I’m a mum with a couple of kids. I planned to have babies with the father of my children. We had a 7 year plan blue tacked to our bedroom wall and babies were absolutely on that plan. And from the moment we knew we were pregnant we planned to have a baby. If we didn’t plan to have a baby then we wouldn’t have had a baby. Even if we found out much later in the pregnancy, we still could have planned to not raise that baby ourselves. There are also heaps of things I didn’t plan for. 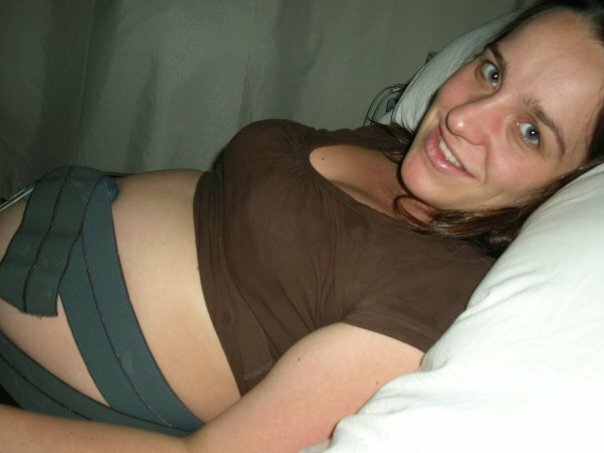 I didn’t plan to have hideous morning sickness and lose 6 kgs in my first trimester. I didn’t plan to have a long, difficult, and traumatic labour. I didn’t plan to have a csection. I certainly didn’t plan for him to stop breathing for a few minutes once we were home from hospital. So I didn’t plan to have a mixed up mess of PTSD, anxiety and post natal depression. I also didn’t plan to have trouble bonding with my son. And I didn’t plan to have people ask me a question that implies that my son wasn’t wanted or shouldn’t have been born, right when I was struggling the most. So, I didn’t plan everything. I had planned to be a great mum and without wanting to brag I believe that I am. I planned to enjoy being a mum – and I absolutely do now. I planned to be with my partner and he planned to be with me. None of this “Oh isn’t he good for staying with you” nonsense. (Yes, this has been said to me; pats on the back to my partner for not planning to leave me when we conceived a baby together). We had not planned for it to take 2 years to get pregnant with our second baby. Obviously she was the baby we were meant to have and I would not trade her for anything in the world, but she is about a year or so younger than we planned for her to be. But we can’t plan everything. All I can plan to do is love both of my children for the rest of my life and plan to be the best mother that I can be. Now I have to wrap this up because I planned to put on a load of washing before I planned to pick my son up from school. So inspiring! This is an amazing post and go you for writing something so heart felt and so true. I agree it works the other way too when you are always asked why you not having kids… sometimes things don’t go to plan! Amazing Rachel! Yes I so hate that question too – what business is it of anyone else? Same goes for the “are you trying again” question. Mind yout own damn business! ! Exactly. It’s really none of anyone’s business anyway, it’s not like it gives them any greater insight into us as parents. And asking if you’re trying – people will know if/when it’s time for them to know. Hurrah! Well said, good for you. People can be so rude! well said! I feel your annoyance with that question! When we first told my mother in law and separately my father in law that we were expecting, they both asked us is it was planned. We had been married for 7 months, together for 4 years, owned a house, had good jobs, were both in our late 20’s, yet somehow they though it she was an accident! I was really upset by that question. Later they both said some even more inappropriate things too! I don’t see why anyone should ever ask that question, its insulting either way! What a great post! I have to say that question is right up there with ‘So when will you try for your next baby?’ as the most irritating and invasive question there is to ask a mum. I mean seriously – why does it matter? !